Van Egmond Seedlings and Cuttings Substrate is composed of various milled peat types from the Baltic States, Ireland and Germany. This creates a fine and regular structure, which is ideal for the roots of new plants. The amount of fertilizer is also adjusted to these new roots, as these are sensitive to nutrients, ensuring that the plants have sufficient nutrients for the first 3 weeks. This allows seedlings and cuttings to have a good start without risk of root damage. 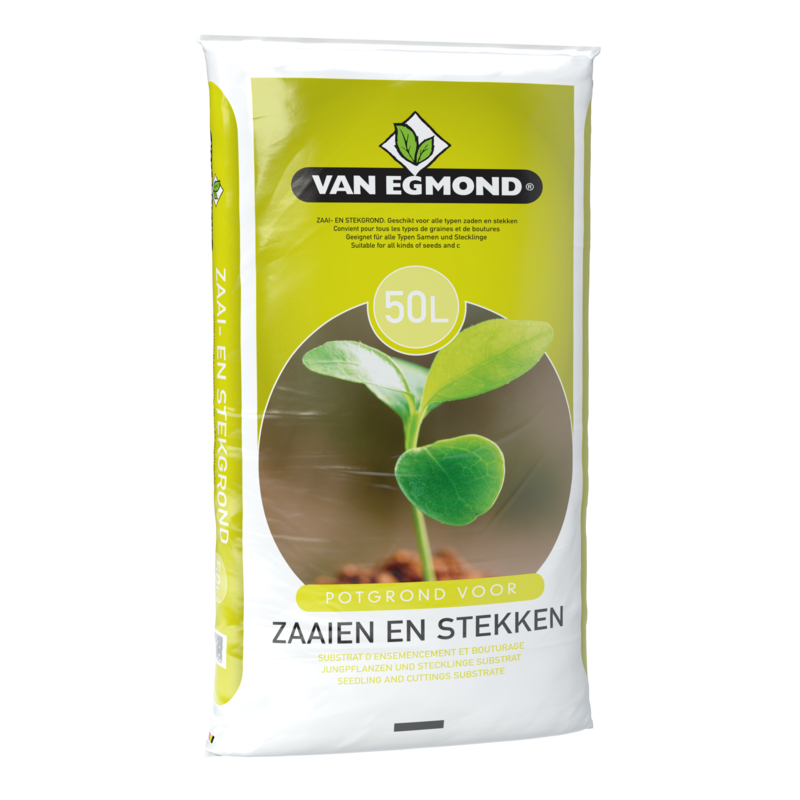 Van Egmond seedlings and cuttings substrate is available in bags of 20 and 50 litres. Order seedlings substrate directly through our order form!